Transfer deadline is usually a quiet time for Arsene Wenger. The Frenchman more often than not gets his business done early by the time the bi-annual mad scramble begins. But in this most disastrous of starts to a season Wenger knows he must deliver ahead of Wednesday's deadline or risk the rest of the campaign imploding all around him. Those who bet on the Champions League are already placing Arsenal as vast outsiders. If you look on the bright side, you could say that things can't get much worse than a 8-2 defeat at Manchester United – the history books now tell us that. But what it also did was highlight the glaring deficiencies in the Gunners line-up. Well, to many of us we already knew where their weaknesses lay but Wenger now surely can't keep on stubbornly denying anything is wrong. I wouldn’t bet on relegation coming to haunt the club, but for a team that usually keeps such high standards, their recent fall from grace is alarming. A defender is needed desperately, someone with some grit, determination and leadership. Wenger may want to build a team like Barcelona but even they have Carlos Puyol directing things at the back. There is a huge Samir Nasri and Cesc Fabregas shaped hole in the midfield and with £60million in his back pocket following the sale of those two players he has no excuses about not finding a replacement. Finally, a striker is urgently needed to provide back-up for Robin Van Persie. The Dutchman is a proven world-class talent but is too injury prone to be relied upon for a whole season. Wenger though is notoriously - and I have to say to a certain extent admirably – careful with money and last minute shopping is exactly the sort of situation he hates being in. Clubs, scenting a few extra quid, will inflate transfer fees, sensing the club's desperation. 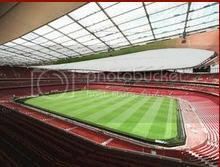 Will Wenger swallow his pride and cough up the extra cash required to plug the gaps? Or will he stubbornly prefer to keep what he has got in order to maintain his prudent approach to the transfer market? It's going to be a fun 24 hours. Barcelona have completed the signing of Cesc Fabregas from Arsenal. The Spanish midfielder returns to his boyhood club after passing a medical and signing five-year deal worth an estimated £35 million. Fabregas was unveiled in front of a large crowd at the Nou Camp and the Spanish and European champions have inserted a $200 million clause buy-out clause into his contract. The 24-year-old’s transfer brings the curtain down on one of the longest running transfer sagas that has seen the Catalan Giants trying to sign their former midfielder for a number of years. The Arsenal captain has been unsettled by the transfer speculation during the summer and has finally prized his way from the London club. Fabregas, who leaves Arsenal on good terms, paid tribute to his Gunners manager Arsene Wenger after departing the Emirates Stadium. He said: “The relationship was fantastic. I spoke to him on Friday to say goodbye and I got very emotional because he’s been like a father-figure to me. Fabregas could not be the only player leaving the Emirates this week, with the possible sale of fellow midfielder Samir Nasri. The French midfielder has been linked with a move to both Manchester clubs this summer and could be on the verge of joining City. Those looking at football betting tips regularly note how Roberto Mancini has been a long admirer of Nasri and has admitted his interest in the Gunners playmaker. Nasri has upset the Gunners faithful after calling them disrespectful following chanting during the goalless draw with Newcastle in their opening Premier League fixture. Meanwhile, Arsenal have been charged with failing to control their players during the game at St James Park. The Gunners saw Gervinho sent off on his English football debut after clashing with Magpies bad boy Joey Barton. Midfielder Alex Song has also been charged after appearing to stamp on Barton during the first half of the clash. So the Fabregas shaped cloud that as hung over Arsenal for the past two years has lifted. He has gone, the cash is in the bank, now the club can try and move on. I can appreciate Arsene Wenger's desperation to keep his skipper, such is his pivotal role in the team. Plus the way Barca have perhaps gone about their hunt of the player leaves a lot to be desired. Those who bet on the Premier League will know this. In similar circumstances to when Ronaldo left Man United for Real Madrid, the big two in Spain feel they merely need to utter the name of the player they want for their club to go on bended knee and allow them to take them off their hands. "I wouldn't sell them a virus," was one of Fergie's more memorable quotes about Real, though he eventually gave in. As it is, Wenger had to do the same. But such was the damaging affect this saga had on the club I do think Wenger could have done with jettisoning Cesc a lot earlier than he has. After all it leaves him just two weeks of the transfer window to find a replacement and convince others, like Samir Nasri, that the club still has ambition to win trophies. Arsenal also face a tricky Champions League qualifier against Udinese -fail to make it through and wagging fingers will be aimed in Wenger's direction for not strengthening the team early enough. The Premier League best odds show they face problems. Had he sold Fabregas in June, midfield re-enforcements will have been bought an acclimatised and you never know Nasri may have signed that contract that's been sat on the table for so long. But if anyone is going to ignore the advice and feelings of others in Arsene Wenger. The man grows more stubborn as the years go on and the louder the calls are to spend, the less likely he appears willing to. Maybe the short, sharp shock of Europa League football will be enough to jolt him to action, which is what will happen should they lose to Udinese. Looking at past form, I have my doubts. Newcastle,Arsenal and Joey Barton haven't changed. The match at St James' Park on Saturday couldn't have been more different to the equivalent game we were treated to last season. The TV schedulers, desperate for a repeat of last February's 4-4 goalfest, were left disappointed. But the supporters probably left the ground anxious that the same old failings from either side are still apparent, meaning transfer window activity is urgently needed for both sides. Prolific Twitterer Joey Barton may see himself as some sort of re-formed intellectual, who won't listen to anyone else's opinion 'unless you've played the game', but it doesn't take an ex-pro to see his old failings are still there. To balance it out he was, crudely, stamped on by Alex Song, but his later reaction to Gervinho's dive, before diving to the ground a few minutes later, proves he he just can't keep out of the headlines, no matter how hard he tries. He remains vital though to the way the Magpies play, his delivery, from dead balls and open play, will set up the majority of their goals. However, his success last season relied on Kevin Nolan and Andy Carroll converting those expert deliveries. Despite bringing in Demba Ba and Yohann Cabaye – the later of whom did show promise – they do not replicate the triumvirate that proved so successful during the first half of last season. The Geordie fans are right to feel anxious and hope for reinforcements ahead of the deadline if they are to avoid being near the top of the relegation betting tables. Their lack of discipline, stretching back to the days of Vieira and Petit, is also still apparent, with Alex Song surely about to receive a retrospective fine and ban for his ugly stamp on Joey Barton. With Barcelona set to fill Arsenal's bank account still further with the Fabregas money there can be no hiding for Wenger. He has the cash, he can see the weaknesses, it is now or never. Arsenal's start to define their season? It's the same old story as the season approaches where the Gunners are concerned. Yes, that's right, Arsenal have been accused of being embroiled in a crisis before the season has even started. However, the North London outfit is not a club to be discounted so rashly, since the Gunners still possess a very strong squad, even if Samir Nasri and Cesc Fabregas do decide to depart the club. Regardless of this fact, the Gunners still know that a defining moment of their season will come in the first few games, during which the true strength in depth of the squad and overall quality of the players it possesses will be tested early on, with a pair of tough games against Liverpool and Newcastle, fixtures that they may not end up winning, but which need to bring solid performances in order to silence the doubts surrounding the club and particularly its leadership. Anyone looking to bet on Premier League should bear this in mind. If the Gunners do start poorly, it's quite likely that the club will put a lot of pressure on Arsene Wenger to go out and spend big bucks on the sort of players he has previously suggested would be merely desirable, but may soon find are necessary to help the club continue to progress. The Premier League betting offers reflect this. With Arsenal fans still reeling at the way the club collapsed after their inexplicable defeat to the now relegated Birmingham in the Carling Cup final, a game that seemed to be nothing but a curse on both clubs as they struggled to pick up points after the game, Wenger knows that he has hard work ahead of him if he wishes to keep fans firmly onside and supportive of a project that has flattered to do anything other than look pretty so far. If the Arsenal manager fails to lead the club to a decent start, he may find that his team is entering a season to forget. Arsenal have secured the services of Alex Oxlaide-Chamberlain from Championship side Southampton. The 17-year-old has signed a long-term deal at the Emirates Stadium for an undisclosed fee, believed to be in the region of £12 million plus any add-ons. The winger played 44 times for the Saints, scoring 10 goals, and was influential in the club’s promotion from League One last season. Oxlaide-Chamberlain follows in the footsteps of England international Theo Walcott, who also came through the ranks at St Mary’s to seal a deal with the Gunners. He has also featured for England Under-18’s, 19’s and 21’s during his short career and joins with a glowing reputation and plenty of potential, which has delighted Arsenal manager Arsene Wenger. "We are delighted that Alex has decided to join us,” he told the club’s official website. "He is an exciting young player who will provide us with creativity and offensive quality. Alex is a versatile player who can play in a number of positions. He can play as an attacking centre midfielder, or wide left and right. "Alex is a perceptive passer of the ball and has a great understanding of the game and looks to be a very good team player." Despite Wenger bringing Oxlaide-Chamberlain to the club, the Gunners are still fighting to keep hold of the wantaway pair of Cesc Fabregas and Samir Nasri. Fabregas continues to be linked with a move back to boyhood club and European and Spanish champions Barcelona, with the Catalan giants likely to conclude a deal next week once they have had a bid accepted. As for Nasri, football betting pundits note how the French midfielder could well stay in the Premier League with Manchester City still wanting to seal his signature. Nasri played a key role last term and would be a huge blow to Wenger’s plan for next season. Another player heading for the exit is Nicklas Bendtner, who has been told he can leave the club. The Denmark striker, who has endured a contrasting career with the Gunners, has asked for a move to Stoke. Potters manager Tony Pulis is interested in a deal but Bendtner’s wage demands and transfer may be out of Stoke’s price range. However, despite the likely departures, Wenger has attempted to sign a defender after having a bid rejected for Everton defender Phil Jagielka. Scott Dann, Gary Cahill and Ryan Shawcross have also been mentioned as the London club look to strengthen their defensive options, which have been criticised in the past. Arsenal are set to complete the signing of Alex Oxlade-Chamberlain after it was announced that the Southampton winger was undergoing a medical at the Emirates. The 17-year-old is set to sign a long-term deal at the club after the two clubs agreed a £12m fee for the highly-rated youngster. Oxlade-Chamberlain will become Arsenal's third summer signing, following the arrivals of Gervinho from Lille and Carl Jenkinson from Charlton Athletic. Oxlade-Chamberlain is in a similar mould to that of current Arsenal winger Theo Walcott. He too started his career at Southampton and Arsene Wenger is clearly a fan of their youth system. Oxlade-Chamberlain can play in a more central role to Walcott though and is known just as much for his passing as he is his pace. With this signing, Wenger has continued the trend of signing youngsters to build a team around. This is despite calls to sign more experienced players in a bid to win some silverware. However, those looking at Bet365 Free Bets will tell you that Oxade-Chamberlain is an excellent young player with a big future. He can now continue his progress at Arsenal. The move is expected to go through today or tomorrow. Those looking at Bookmakers Free Bets will certainly be interested to see whether Wenger sees the 17-year-old being involved in first-team football in the upcoming campaign. 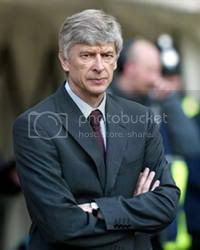 Arsene Wenger undoubtedly is a intelligent man, he wouldn't have got where he is today without being one. And as football managers go, he is one of the more studious. So why then has not yet addressed the yawning chasm in his side's defence? The club's prudent approach to finances is well documented and should be applauded, but there is cash there for Wenger to spend on a defender, and it one badly needed. People looking at the weekend Premier League betting will know this. The main targets appear to be Gary Cahill, Chris Samba and Phil Jagielka, the sort of vocal, no nonsense stopper the club needs to toughen up that now notoriously soft centre. But Wenger is again unwilling to pay the money. A £12million bid for Everton's Jagielka was rejected last summer, so why with the player now tied down to a new longer term contract did the club return this year with a £10million bid? British players carry a premium, it is frustrating and unfortunate but in his efforts not pay over-inflated fees I get the impression Wenger is cutting his nose off to spite his face. This was demonstrated in their two recent friendlies in the Emirates Cup. The Gunners twice took the lead against Boca and NY Red Bulls but sloppy defensive lapses, the sort we have grown familiar with, cost them the win and led to the supporters jeering at the final whistle. Those following the Premier League promotions will be worrying where things are going. To hear your own fans boo in a pre-season friendly is a clear sign something is not right and Wenger needs to act before the poisonous atmosphere is dragged into the new season – especially as they have a vital Champions League qualifier to come later this month. But the louder the calls come the more Wenger digs his heels in. You wonder whether it would take something catastrophic – such as the absence of Champions league football - to finally force the Frenchman to act. Can Arsenal end the hurt? Arsenal have endured six years without winning any silverware but Jack Wilshere reckons they are only one or two faces short of being real Premier League title contenders for the coming season. The young midfielder has seen Arsene Wenger sing Gervinho and Carl Jenkinson during the summer transfer window so far, but more worrying for Wilshere and the Gunners fans is who might leave. Gael Clichy has left for Manchester City, while Samir Nasri continues to be heavily linked with a move away from the Emirates to City or their rivals Manchester United. People looking at the football betting will be wondering what's going on. Add onto this the fact constant speculation regarding Cesc Fabregas leaving to rejoin boyhood idols Barcelona refuses to go away and it looks like the Gunners captain could be on his way before the season starts. 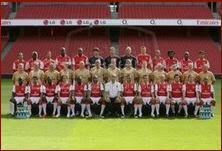 Arsenal have not won anything since 2004 and that remains a constant source of ridicule from rivals fans and discussion among football fans and pundits. The football odds show they will challenge again, but they need to find something extra. Wilshere claims the Gunners "have to win things this year" if they want that monkey off their back and, despite possibly losing two of their stars, he reckons a couple of new faces could mean Arsenal lifting the Premier League title come the end of the season. "If we had a few more faces we could really push on. If we get a few more players we can really challenge for the title," Wilshere claims. "Around March and April we have to stay really strong. We are confident we can be up and around it then so we have to remain strong at that crucial time." Arsenal were booed by their own fans as they failed to win the Emirates Cup at their own ground in front of their own supporters at the weekend – which does not bode well for Wilshere's prediction they can win the Premier League title.